Let the inspiring views and hues of autumn bring you warm feelings of friends, family and fall festivities. Send an awesome autumn arrangement to someone you know and love. 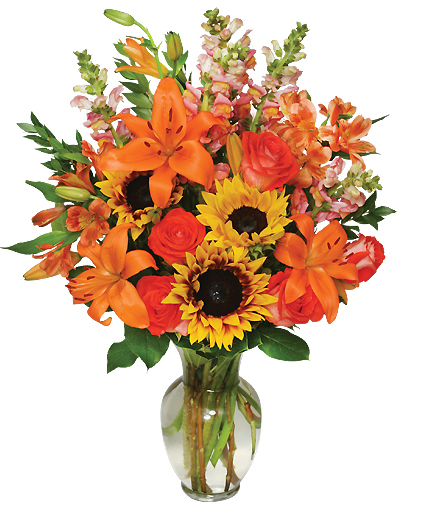 Call Anthony Wayne Floral or order fall flowers online anytime! 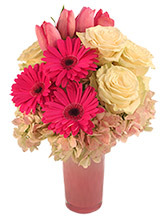 Spring into summer with this colorful, eye-popping bouquet from Anthony Wayne Floral! Blooming with hot pink and orange roses, lime green Fuji mums, pink tulips and stems of orange and pink alstroemeria, our Vibrant Vibes will brighten up the room and boost their spirits to the sky! Call and place a direct order or send fun and cheerful flowers now from our website.